The I Love Lucy Show Came on Tv In October and Ended May 1957. 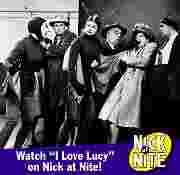 Lucy and Rickey Played Lucy And Rickey Rcardo's and Vivian and William Played Fred And Ethel Mertz. The Players are pictured at Top Of Page. Yes I love Lucy And Lucy loves me! 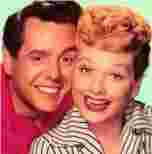 Lucy and Rickey ruled Television. Television was in its infancy and I was 12 years Old! I will always remember with great happiness My Family Gathering each week to watch LUCY and lAUGH AT her ! Help KIDS fight AIDS with your purchase!